Miguel Najdorf (born Mojsze Mendel Najdorf) [lower-alpha 1] (15 April 1910 – 4 July 1997) was a Polish-Argentinian chess grandmaster. Originally from Poland, he was in Argentina when World War II began in 1939, and he stayed and settled there. He was a leading world player in the 1940s and 1950s, and is also known for the Najdorf Variation, one of the most popular of all chess openings. Dawid Przepiórka was a prominent Polish chess player of the early twentieth century. Ksawery Tartakower was a leading Polish and French chess grandmaster. He was also a leading chess journalist and author of the 1920s and 1930s whose books remain popular even today. Tartakower is remembered for his sharp wit and aphorisms. Polish Immortal is the name given to a chess game between Glinksberg and Miguel Najdorf played in Warsaw. 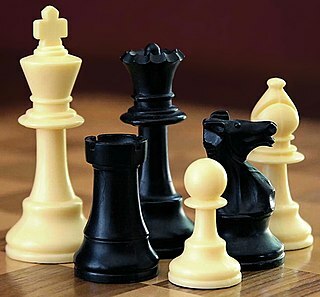 The game is celebrated because of Black's sacrifice of all four of his minor pieces. Paulino (Paulin) Frydman was a Polish chess master. Rudolf Spielmann was an Austrian-Jewish chess player of the romantic school, and chess writer. Najdorf represented Poland in four pre-war Chess Olympiads. In August 1935, he played third board in the 6th Chess Olympiad in Warsaw (+9–2=6). In August 1936, he was second board in 3rd unofficial Chess Olympiad organised by the German Chess Federation in Munich (+14–2=4). In June/July 1937, he played at second board in the 7th Chess Olympiad in Stockholm (+5–3=7). In the 1939 Olympiad, Najdorf played second board for Poland and achieved a score of +12−2=4, winning a gold medal. The 6th Chess Olympiad, organized by the FIDE and comprising an open and (unofficial) women's tournament, as well as several events designed to promote the game of chess, took place between August 16 and August 31, 1935, in Warsaw, Poland. The famous retired Polish master Dawid Przepiórka took the major responsibility as a chairman of Organizing Committee. 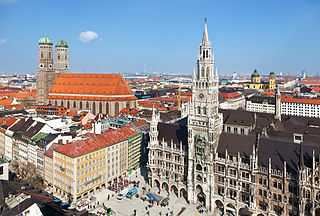 The 3rd unofficial Chess Olympiad was held by German Chess Federation as a counterpart of the 1936 Summer Olympics in Berlin with reference to 1924 and 1928 events. FIDE’s position regarding the Munich Olympiad was set out on pages 10–11 of the minutes of its Congress in Warsaw in August 1935. In short, given that parts of the German Chess Federation’s statutes were anti-Semitic, FIDE could have no involvement in the Munich Olympiad. However, since Germany had agreed, for that event, to drop its ban on Jews, FIDE’s General Assembly voted to leave Federations free to decide whether or not to participate. Finally, many Jewish chess players took part in the event. Significantly, the "Jewish" teams of Hungary and Poland beat "Aryan" Germany. Also Jewish masters from other countries played leading role there. Although not a full-time chess professional (for many years he worked in the insurance business, selling life insurance),  Najdorf was one of the world's leading chess players in the 1940s and 1950s. Najdorf remained active in chess to the end of his life. He won the South African Open in 1976  and at age 69, he tied for second place in a very strong field at Buenos Aires 1979, with 8/13, behind winner Bent Larsen (11/13), though ahead of former world champions Tigran Petrosian and Boris Spassky. At Buenos Aires 1988, he made a score of 8½/15 for fourth place at age 78. The next year in the 1989 Argentinian Championship, with several other GMs in the field, he tied for 4th–6th places, with 10/17. His last national championship was in 1991 at age 81, where he finished with a minus score. Najdorf was an exceptional blitz (five-minute) player, remaining a strong player into his 80s. Anders Gideon Tom Ståhlberg was a Swedish chess grandmaster. Moshe Czerniak was a Polish-Israeli International Chess Master. Ilmar Raud was an Estonian chess master. Teodor Regedziński was a Polish of German origin chess master. Markas (Marcos) Luckis was a Lithuanian–Argentine chess master. Viktor (Víctor) Winz was a Palestine/Israeli–Argentine chess master. Paul (Pablo) Michel was a German-Argentine chess master. Carlos Enrique Guimard was an Argentine chess Grandmaster. He was born in Santiago del Estero. René Letelier Martner was a Chilean chess player with the title of International Master. His finest international tournament win was in 1954, when he took the UNESCO tournament in Montevideo as clear first ahead of joint Ossip Bernstein and Miguel Najdorf, beating both in their individual game. Jiří (Jorge) Pelikán was a Czech–Argentine chess master. Enrique Alfredo KurtReinhardt was a German–Argentine chess master. Bernardo Wexler was an Argentine chess master. Raúl Carlos Sanguineti was an Argentine chess Grandmaster. He won the Argentine Chess Championship seven times, in 1956, 1957, 1962, 1965, 1968, 1973 and 1974. Raúl Sanguineti played for Argentina in seven Chess Olympiads. He won two individual gold medals at Moscow 1956 and Varna 1962, and two team bronze medals at Munich 1958 and Varna 1962. In total, he represented his country in seven Olympiads with an aggregate of over 70 per cent. He played in the World Chess Championship Interzonals at Portorož 1958 and Biel 1976. Important tournament victories included São Paulo 1957, Bariloche 1960, Buenos Aires 1963, Punte del Este 1964, Buenos Aires Open 1968, Fortaleza Zonal 1975, Mar del Plata 1976, Buenos Aires 1977, and Santos Lugares 1977. During his competitive career, which ran from 1954 to 1977, he very rarely finished in the bottom half of the tournament table. In 1980 he won the Konex Award as one of the 5 best chess players of the decade in his country. Erik Ruben Lundin was a Swedish chess master. Franciszek (Frank) Sulik was a Polish-Australian chess master. Carlos Hugo Maderna was an Argentine chess master. Mariano Castillo Larenas was a Chilean chess master. ↑ Men's Chess Olympiads :: Miguel Najdorf. OlimpBase. Retrieved on 2012-11-08. ↑ Eliot Hearst, John Knott, Blindfold Chess: History, Psychology, Techniques, Champions, World Records, and Important Games, McFarland 2009, p. 91. 1 2 3 4 5 6 7 8 9 10 11 12 Liliana Najdorf, Najdorf x Najdorf, translated by Taylor Kingston, foreword and annotated games by Jan Timman, Russell Enterprises, Inc., 2016, ISBN 978-1941270394. ↑ BrasilBase. BrasilBase (2012-11-01). Retrieved on 2012-11-08. 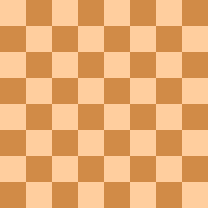 ↑ Roger Paige Chess Site. Rogerpaige.me.uk. Retrieved on 2012-11-08. 1 2 Edward Winter (2003–2004). "Interregnum". Chess History Center. Retrieved 25 April 2014. ↑ "SA Open Round 7 report by dr L Bouah". Chess Western Province. 6 July 2016. Retrieved 6 July 2016. Wikimedia Commons has media related to Miguel Najdorf .